A successful acquisition job starts with accurate diagnosis of the media. The Atola Insight Forensic is the ONLY product in both data recovery and forensic industries with the ability to accurately evaluate a hard drive's health and pinpoint specific problems. This feature puts our users at a major advantage by enabling them to take all factors into account before moving forward with data acquisition. Extracting every fragment of data from hard drive is a crucial part of the data acquisition process. The Atola Insight's imaging/imaging system allows the user to completely customize the imaging process to suit each job, even when dealing with damaged or unstable media. File recovery is the last phase of most data acquisition jobs. 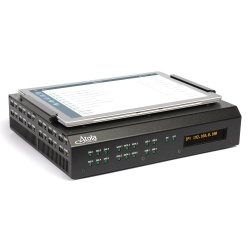 The Atola Insight's file recovery engine is simple, intuitive, and effective. It integrates seamlessly with Disk Imaging and Case Management systems to effectively extract data. Atola Insight Forensic automatically removes ATA passwords from hard drives in just 2 minutes. This highly complex feature can be executed by the operator with one click of a button and the password is displayed after it is removed whenever possible. Atola Insight Forensic comes equipped with a range of utility features for each step of the data acquisition process. 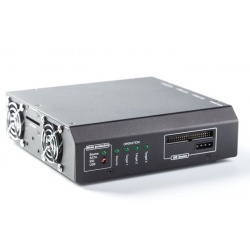 These features include device configuration for modifying hard drive parameters, HDD current monitoring for continuous diagnosis, a disk editor for modifying hard drive data, and an add/remove password function. Atola Insight Forensic is the only data recovery product that was built with case management in mind. All functions are tied in to one-another and the system tracks and records every action taken with a given hard drive. If a session is stopped and the hard drive is disconnected from Atola Insight and then later reconnected, the system will recognize the hard drive and give the operator the option to re-open the case. Its server-class hardware enables launching and managing 8 or even more parallel image acquisition processes. The powerful new Disk Recycler improves on many robust features our clients have come to expect from Ji2’s products and packs them into a fast and flexible device at a very attractive price. The Disk Recycler offers reliable implementations of industry wipe standards, custom processes, bad sector reallocation, system scalability, and detailed reports for achieving optimum production. Customized scripts are user created by intuitive menus and tools and customized reports pull from numerous operational data. 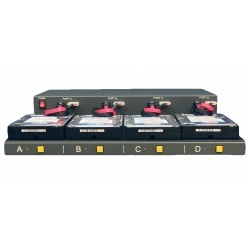 The Disk Recycler units can link together as one large system or as multiple smaller systems. Eliminate paying per each wipe forever since after purchasing our equipment it is yours to use, unlimited. It is easy to see how Ji2 moves to the next level with the Disk Recycler by tapping more than a decade of exceptional design experience. *12 month repair/replacement warranty applies. CSV Summary Report for All Jobs by Serial Number, Model, etc.